Happy Anniversary Graham - You do a fantastic job no matter what anyone else says! Excellent skill and simplicity. Thanks for posting this Graham! The deadline is March 1st so you have a while yet. For those of you who are skillful and competitive Qualatex have another Color Quest competition for SPRING GREEN. The level is always high and from all around the world. That is not to stop you having a go though! Simon posted this on his FB page a lovely video of the lecture he did for us in Birmingham, simply filmed with pets and music. If you are not Simon's friend you might not be able to see it. Excellent Rob - lovely stuff. I think it was Norway! This is from Patty Sorell on the Twist & Shout Facebook Page. "Good Day my friends! We are now accepting applications for the Royal Sorell Scholarship. This scholarship is for someone who has never been to Twist & Shout before, and the person must be nominated by someone who has been to T&S in the past. Please go to the http://http://www.BalloonConvention.com website and click the link at the top to submit an application. Be sure the person you are nominating wants to attend and can take the time away from work, family etc. This scholarship will include 1 Full Registration, Hotel for 4 nights and Airfare reimbursement up to $350. The scholarship committee will decide the lucky recipient by December 24th, 2016." If you haven't been to Twist & Shout this could help you get there. Good luck! Wondering where episode 3 went? So are Scott & Sam - its lost in the editing suite somewhere! 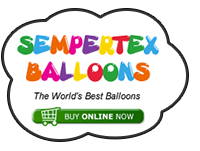 "This episode of The Balloon Blast Video Show was filmed in front of a live studio audience. We set up a live feed, and invited viewers to join in to watch as we filmed the show beginning to end. 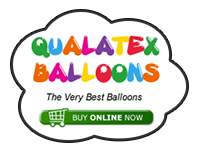 New balloon products, a balloon Grinch tutorial, and some other odds 'n' ends. Enjoy!" Thanks for posting that Graham - really interesting and a good two step process! Although I would call it a chocolate brown footed ferret!